Iodide is naturally present in seawater and usually is supplemented in sea salt mixes but it is rapidly depleted in closed systems. 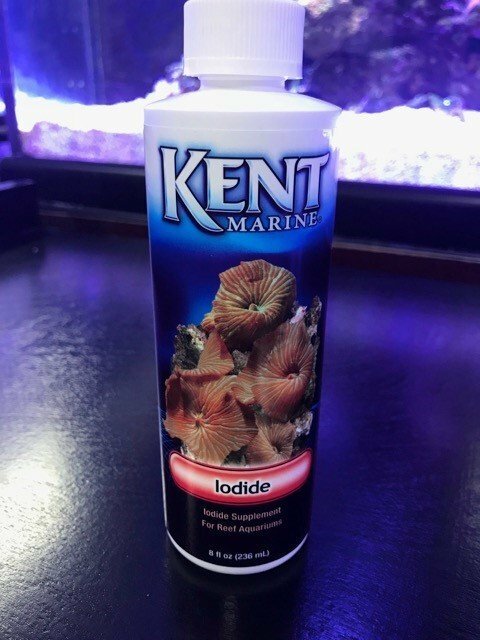 The Kent Marine Iodide provides this essential element to fit your aquarium application. Kent Marine Iodide works as an antioxidant and will not destroy beneficial bacteria.